Creative briefs may be brief, but often they aren’t very creative. I’ve worked on both sides of the client/agency table, but learned the real power of a well-written creative brief from Eric Ryan at method. 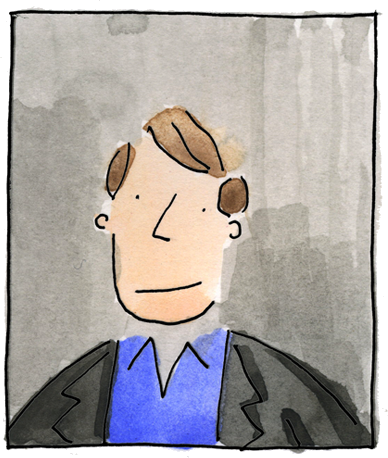 As an ex-agency planner, Eric understood that a quality creative brief unlocks quality talent at an agency. He put as much energy into a creative brief to an agency as he would to a creative pitch to method’s biggest customers. With so little marketing spend, the quality of the creative had to carry the weight. Instead of a brief, write a manifesto. Instead of a brand promise, convey your brand purpose. Instead of bullet points, tell a story. A creative brief should not just inform. It should inspire. I suppose the question is – whose responsibility is the Creative Brief? Should it be up to the client to inform, engage and inspire the agency? Or should it be the job of the agency (and therefore probably mostly the Account Planner) to take a brief phone call with the client in the context of everything they understand about the brand, its market and its audience and write the brief themselves? Disclosure: I’m a Planner. And I love your idea that we should really be writing manifestos, not briefs. I was starting to think that you were in a “social media” rut Tom. Nice to see an article on an old school topic that needs to be regularly addressed. I recently told a new recruit that the brief I’d just assigned her, would be the toughest document she’d ever write, and it was. 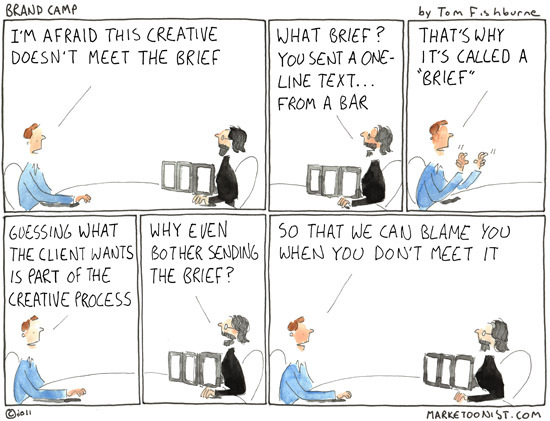 But without a great brief it’s very tough to get great creative. I recently sat down with an add agency to discuss our marketing plan. They were very good and helping us understand what we really wanted. We are great at what we do. We are not great at marketing (but getting better). When they left we both understood what we need to do to move forward with planning the marketing campaign. Back when I was a suit the question that really helped get the brief nearer 10 than 1 was, ‘and if whatever we do works brilliantly, how will you know?’ OK, for some clients answering that was harder than pulling their top lip over their head, but most of the time it worked a treat. Gathering the stories is something good agency teams constantly seem to do about their clients. And the manifesto is a great idea. Ok, it is never just one side at fault. I am still to find an agency creative or account person that ever called me to discuss my brief, to clarify or to challenge me. I spend hours writing the document and I have no illusions about it being perfect. When I see crappy creative that comes out of my brief, I take it personally. Everyone is so overworked these days that no one stops to really think or discuss, people just check boxes. Also, depending on the business model or type of contract for some agencies, getting it right the first time is simply not profitable. Far be it for me to go into bat for our Marketing team (after all, I’m just a Medical Director in a Pharma company) but it occurs to me that by writing a brief bigger than ‘War and Peace’ puts shackles on the creative agency. If we were ‘creative’ we wouldn’t need the agencies, we’d do it ourselves. What we’re looking for is that ‘Ah Ha’ moment, when the agency presents a new concept so elegantly simple and cheap we all look at each other in the room and say “Why didn’t we think of that?” (…that’s only happened once in my life). The fact is the client expects the agency to do extensive research, get their collective head around the product and come up with a hook and strategy leaving the competitors in your wake. Describing the expected outcome in great detail can only stifle creativity. Sure, you’ll get plenty of ideas that make you groan in disbelief, but when the right one comes along – BINGO! As a marketing bloke running a large group, one of the hardest things was to write a brief that offered the depth, breadth and “colour & movement” (ie stories),necessary to create is really hard. Almost as hard is getting creatives to work to it when they get an idea they want to sell, and most agencies sell ideas, it is their stock in trade. The most useful process I found was a collaborative one that included agency personnel, over a long period, so they were as familiar with the consumers, brands, competitive environment, and internal challenges as those who worked for me. This requires a long term and transparent relationship, another rarity in this business. Burst into laughter on seeing this. 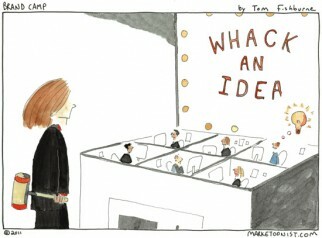 I think every freelance copywriter can relate to this wonderful cartoon! I am in market in financial services and I agree with Mr Fishburne. Creative briefs should not be written in 5 minutes so you can get a bit of collateral/adveritisng/social media etc that you can hand to your boss and say ‘see look at what a good job I am doing’. They need to reflect your strategy, they need proper thought, they need time spent on them reducing war and piece to the heart of what you are about. But I have noticed that agencies who have really managed to tap a customer’s pulse well have managed to come out with Howitzer creatives with just a telephone-brief. On the (rare) occasions where I have furnish a brief worthy of the Nobel Lit Prize, the outcome was heartbreaking. It’s almost, like the- Oh! let’s just sit easy cause the client has done all the work so we just gotta stick to the hemlines of the brief. Bah! 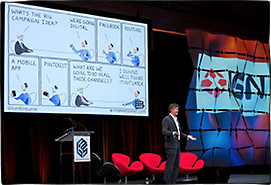 Great insights from both sides of the client/agency fence, thanks! Glad this one struck a chord. This week’s winner is Allen. A long transparent relationship is an important key. A signed print is on the way. To balance it all out, here’s a cartoon from 2003 that pokes fun at agencies (and the process of giving them feedback): https://marketoonist.com/2003/02/how-to-give-creative-feedback-to-the-agency.html . Brief x depth can = great creative, but as a freelance Art Director, it can sometimes be nigh on impossible to get past the pitbulls of the Account Handlers and get to the client to ask the questions that need answering. The clients come to us because they often don’t know what they need. It’s up to us to ask the right questions, but it’s also all about balance – we don’t want sheaths of waffle thrown at us, nor the one line text message, just a one on one conversation usually does the trick! Love your cartoons Tom – you always seem to hit the right note! Cheers. I remember sitting through training many years ago in how to write a good brief (project and creative). The Creative Director who co-led the session walked us through the process of interpreting a good brief and a bad brief and showed us the outcome. He also translated executed creative back into what the brief may have looked like for the agency when they got the brief. It was a valuable lesson and my managers ensured that all briefs were tightly written and full of meaty info. GREAT training and discipline, but time consuming. In today’s fast paced environment no one wants to take the time to write the brief, and those who are to approve the brief don’t take the time to read it and make sure they understand what’s being asked. As a result Sr. management finally weighs in when the see the creative and don’t hold back on the harsh feedback for “missing the mark.” It’s demoralizing for both agency team and internal client partners. As a manager I like to work closely with those reporting to me in helping transfer my knowledge and discipline as best I can under the circumstances. It doesn’t always happen but we try. 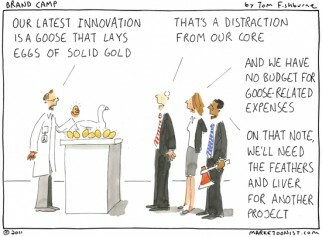 Tom, this is one of your best cartoons and I agree completely! Marketers have to take responsibility for strategy, positioning and marketing planning, including briefing outside partners. Of course, get input, but the responsibility for setting objectives and expectations is with you, Mr. and Ms. Marketer. I’ve been a proponent and user of marketing briefs my whole career, and not just for advertising creative (also consumer research, media relations, package design, etc.) If you want great results, there’s just no other way. In addition, and just as importantly, preparing a written marketing brief is a terrific way to formulate and crystallize your thinking, and to ensure internal team agreement. Remember to present the brief in person, or at least virtually – don’t just send the electronic file. 1. Redesign the website to aggressively generate leads – concentrating on XXXX XXXX first and XXXXXXX XXXX. 3. Update branding & design to better match with target group, medium-sized companies upwards. 4. Demonstrate through the website we are a technically advanced company. It needs to be more interactive. My personal favourite is number 4. We want to concentrate our efforts on products targeting XXXX XXXX organizations, as this is our core competency, as well as products for ITSM. The Free Cloud product should be fairly discrete to only offer this for private use. We should also have some space about our partners as part of our business is to white label our solutions to third parties. Do you see the problem? Even if they have a template to fill in all the questions us creatives have, they fill it with irrelevant gobbledegook. BTW the above was produced by a global IT company with over 17,000 organisations like DHL as clients. Stunning or normal? 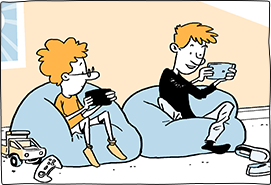 I really don’t know/care anymore.
. . . By the way, great cartoon, sadly 98/100 briefs delivered by “professionals” (include rabbit agency finger gestures) are like this in real life, which is a tragedy, but then where would we be with comedy?